Our Timothy Lodge and Isaiah and Jeremiah Cabins (Cabins located on West Camp) are private rooms with private bathrooms; linens and towels provided. 25 of these rooms are available. The Romans Lodge and Philippians Lodge are private rooms with shared bathrooms (combinations of twin, full and queen beds). Bring your own bedding or rent from us. The Esther, Galatians, Matthew, Mark and Luke dorms are twin bed bunk rooms with shared bathrooms. Bring your own bedding. The West Camp dorms (Ruth & Joshua) are large twin bed bunk rooms with outdoor bathhouses nearby. Bring your own bedding. What Lodging is Right for You? Lodges or Dorms? If you would like basic, hotel-style lodging, choose the Timothy Lodge or Cabins. Dorms are a great lower-cost option that allow your group to share more of the lodging space. Co-ed or Separate Gender? 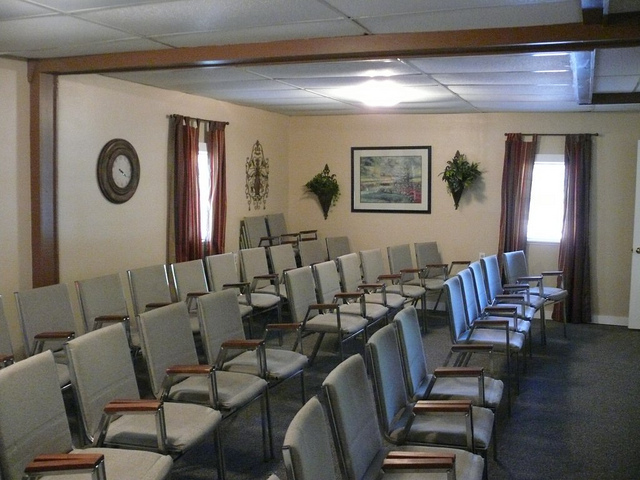 The Timothy Lodge, Romans, Matthew, Philippians and Galatians can be used a co-ed lodging, they have private rooms with separate gender bathrooms. Oakridge Meals or Your Own Meals? West Camp Dining Hall or Romans Retreat Lodge Kitchen can be rented to prepare your own meals. Generally, groups will stay in the West Camp area or Romans Lodge respectively if they choose to use those kitchen facilities. The Big Picture. Click here for a full list of our lodging capacities. Our Timothy Lodge has 22 comfortable rooms with private, snug ¾ baths. Linens, towels and central heat and air provided. These rooms are located on the second floor of our Main Dining Hall. Most rooms have one double bed and a set of bunk beds. Six rooms have only one double bed. Oakridge generally prefers that these rooms not be used by Youth Groups. Click here for our Timothy Lodge bedding assignment sheet. The West Camp cabin rooms have private baths, with linens and towels. Cabins have limited availability - call for details. 7 private modest rooms with shared ¾ baths. Linens and towels not provided, may be rented at $7 per person. Central heat and air provided. Most rooms have 2 double beds and a set of bunk beds. A full kitchen, Dining Room, and Meeting Room are available to rent in this lodge. This lodge is the second story above Matthew Dorm. Click here for our Romans Lodge Kitchen Inventory sheet. Click here for our Romans Lodge bedding assignment sheet. Private, modest rooms with shared ¾ baths. Heat and air provided. Linens and towels not provided, may be rented at $7 per person. Some rooms have 1 double bed and a set of bunk beds; some have 2 sets of bunk beds. This lodge is the upstairs to Galatians Dorm. Click here for our Philippians Lodge bedding assignment sheet. Camp dorm rooms with ¾ baths. Heat and air provided. Linens and towels not provided, may be rented at $7 per person. This dorm is the downstairs to Philippians Lodge. Large deck area along front of building. Click here for bedding assignment. Camp dorm rooms with shared ¾ baths. Heat and air provided. Camp dorm rooms with shared ¾ baths. Heat and air provided. Two story dorm with back deck area. Camp dorm rooms with ¾ baths. Heat and air provided. Downstairs from the Romans Retreat Lodge. Full kitchen and Dining Hall available for rent at West Camp. West dorms have no heat, but West Chapel & Dining Hall are heated. Dormitory rooms with shared ¾ baths and restrooms in detached buildings. Window AC units provided. Varying number of bunks per room. Two story dorm. Click here for bedding assignment sheet. Dormitory room with shared ¾ baths and restrooms in detached buildings. Window AC units provided. Varying number of bunks per room. Window A/C units in both bathhouses. Automatically included when meeting areas or dorms are rented. 405-247-5433 • 20007 State Highway 9, Anadarko, OK 73005 • © 2017 Oakridge Ministries, Inc. Located on a beautiful wooded hillside near Anadarko, Oklahoma, Oakridge has been serving our Lord Jesus Christ since the year 2000. We believe that the sharing of the gospel with people of all ages is paramount. Our year-round facility can accommodate all sorts of events: day outings, camps, retreats, minister's getaways, family reunions and more!